​Passionate and hardworking, Muriel Ruth Nelson Hinkle dedicated more than three decades of service to the defense of the United States. She started in the field in 1970, when she served Analysis & Technology, Inc., as an illustrator of naval warfare predictions and computer stimulated naval engagements. After three years, she jumped to the top of the corporate ladder by co-founding Sonalysts, Inc., where she has been ever since, with her husband, David. During her time with the company, Ms. Hinkle has served as the company’s president and chief executive officer, and, when she retired in 2001, she was granted the distinguished titles of president emerita and CEO emerita. She is proud of the business’s growth; originally an approximately 15-person operation, it now hosts more than 350 employees on a seven-building campus. ​Although Sonalysts was initially started as a naval research and development business, over the years it has expanded in directions even Ms. Hinkle didn’t see coming. While defense projects, from training simulation programs to new sonar techniques, do still make up more than half of the company’s revenue, entertainment services have become a major, yet unexpected, asset. The world-class sound stages have produced commercials, infomercials, and television shows like “Deal or No Deal.” Renowned director and producer Steven Spielberg filmed part of “Amistad” there, and even stars like Alicia Keys have made use of the company’s facilities. Other branches of Sonalysts include a weather and aviation analysis station, a warehousing and fabrication shop, and editing, audio, animation and motion graphic suites. The diversity of the business can be traced back to the fact that employees are not tied down by a title; Ms. Hinkle believes it’s important that employees have a say in the direction of the company and the projects they undertake. To prepare for her endeavors, Ms. Hinkle studied at the Maryland College for Women from 1947 to 1949, and earned a Bachelor of Arts from the University of Maryland in 1951. She also garnered hands-on experience on the advisory board of the Connecticut National Bank and as a consultant for the Defense Nuclear Agency for Tactical Nuclear Effects in anti-submarine warfare. Further, Ms. Hinkle served as a ticket agent for Eastern Airlines, the manager of Wildacres Thoroughbred Horse Farm, the president, CEO and chairman of Stonington Farms Inc., now known as Mystic Valley Hunt Club, and the founder and past director of Command Engineering and Technology Services Co. She ensured that she remained connected to her peers by joining prominent organizations such as the National Audubon Society, the Navy Wives Club, the American Horse Shows Association, and Sigma Kappa. Ms. Hinkle’s hard work and dedication have not gone unnoticed. 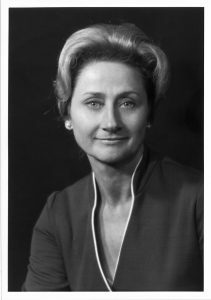 She was the honored recipient of the William Crawford Distinguished Service Award in 2002, the Distinguished Community Service Award from Mitchell College in 2001, the Business Associate of the Year Award from the Naval Institute in 1999, and the commendation for services to the submarine force commander of submarine squadron 10 in 1973. Additionally, she was featured in numerous editions of Who’s Who in America, Who’s Who in the East, Who’s Who in the World, and Who’s Who of American Women.